How has it become so far? Why are travelling people around the world provoking the new term of “tourismphobia”? More and more people are moving into urban areas, leading to the fact that nowadays more than half of the world’s population live in cities. 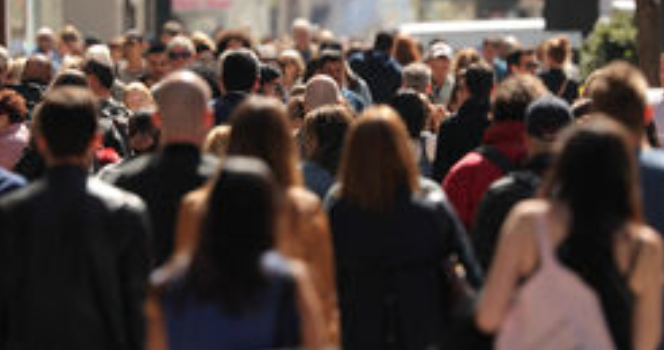 This inflow of people into cities increases the tourism flow into urban destinations and thus, challenges the impact of tourism on cities and its residents. To dive deeper the on-going issue, it is essential to name some relevant definitions to better understand the meaning and the impact of it. What does “overtourism” actually look like? And how can “tourismphobia” be defined? On the executive summary about “Overtourism” the World Tourism Organization described the expanding issue as the “the impact of tourism on a destination, or parts, therefore, that excessively influences perceived quality of life of citizens and/or quality of visitors experiences in a negative way”. Tourism is, or better said, should be an opportunity for communities and their people to share the benefits of their cities and to foster the socio-economic development, employment, infrastructure development, and export revenues. The challenge of tourism has always been to find a way that benefits both sides- the visitors and the residents. Unfortunately, the issues of perceived overcrowding, noise, pollution in some cities and other things emergence protests against tourism and turns it into a prevalent thread, spreading terms such as ‘overtourism’ and ‘tourismphobia’ in the media. 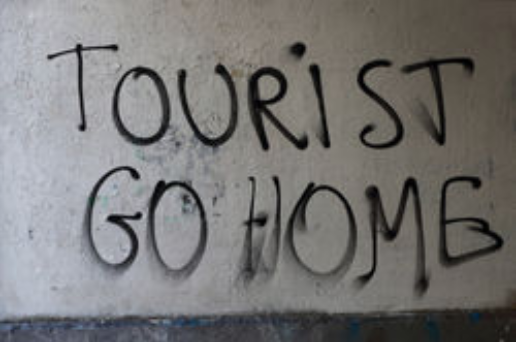 “Tourists go home”, Tourism kills the neighbourhood” – messages like these have been seen on walls or public spaces in several travel destinations. How can we deal with this problem? How can we create awareness of the on-going issue and bring sustainable tourism to the masses? With the focus on engaging travellers and to make sustainable tourism mainstream, there is a group of organisations, including Authenticitys, that spread the idea not to put pressure destinations but rather to offer quality experiences to citizens as well as to visitors. This actions would also enhance the relationship between residents and visitors and therefore, create a sustainable tourism environment. Only through the right community engagement, a careful planning that respects the capacity of the destinations and especially by increasing the relation between visitors and residents- tourism will be sustainable. “Make cities and human settlements inclusive, safe, resilient and sustainable” – states Goal 11 of the Sustainable Development Goals of the United Nations New Urban Agenda. 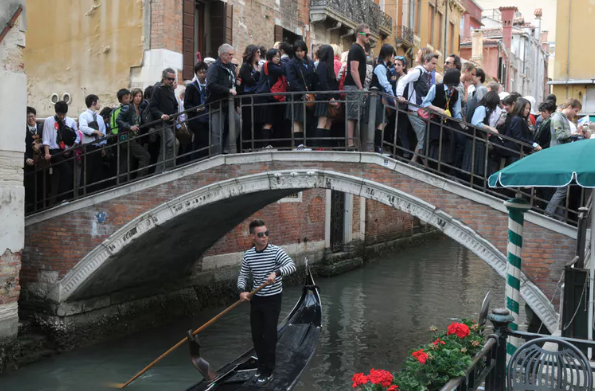 To deal with overtourism must now be a priority and each individual being has to be part of this process – to turn “overtourism” back to tourism, as a possibility that benefits both sides- the visitors and the residents. Within the framework of the International Year of Sustainable Tourism for Development, designated by the United Nations, also this year the influencing global campaign #travelenjoyrespect is trying to follow its main objectives like raising worldwide public awareness about the issue and mobilizing relevant actions in a city destination to foster sustainable traveling. “Respecting the culture and rights of the people of the city in which you are traveling, minimizing the environmental damage caused by the act of traveling, practicing ethical consumption, and making an effort to choose local shops, restaurants, markets, and handicrafts” – might be impulses to think of a sustainable way of traveling. All travellers and citizens likewise, living or visiting in a travel destination deserve to live content and sustainable and thus, the common will of creating this sustainable development will be necessary. Perhaps overtourism is an outcome of our present reality of immense mobility and new cross-culture possibilities; however, one should never leave behind the idea of travelling in a sustainable way, including the intercultural exchange and the respect for the earth.